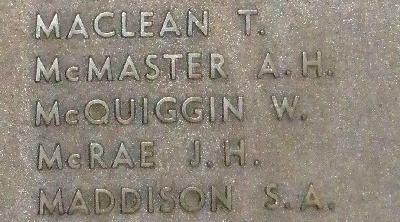 War Grave Register notes: McQUIGGIN, Lt. William. 1st Australian Light Horse. Killed in action 4th Aug., 1916. Age 36. Son of George and the late Mary Ann McQuiggin. Native of Rylstone, New South Wales. B. 47.